There are 4 reviews of Invictus Intense. Very pleasant scent. Mass appealing addition to the mass appealing line. A boozy, ambroxan, cardamom. Pepper is slight. The orange blossom mingles together with the cardamom to make a sweet accord. Wife likes it. Performance is fine. I'm going neutral, in that I'm judging it against the other fragrances in its own category, and I like this one. Don't really find myself intrigued enough to ever consider buying it. A decent thumbs up for this latest flanker. 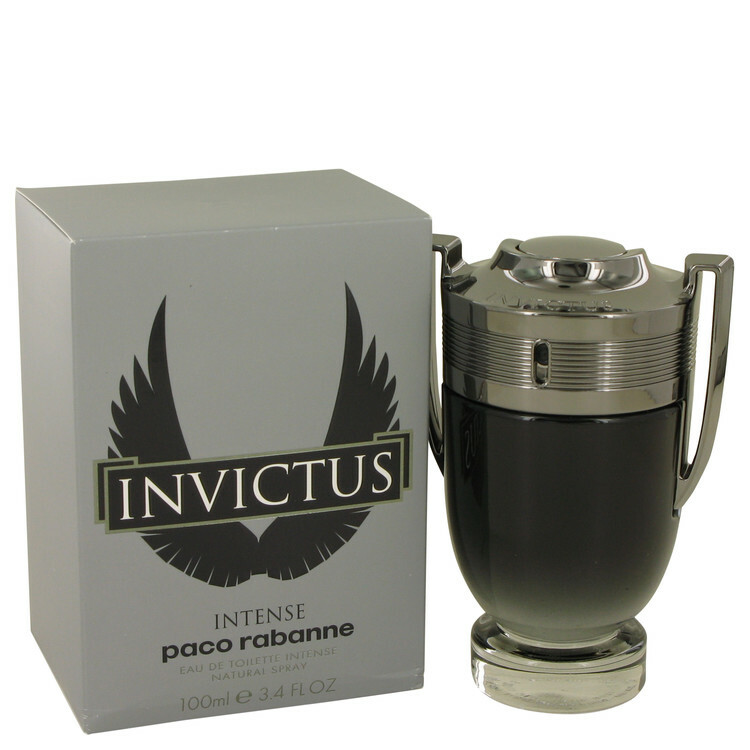 Invictus Intense is a rather aromatic, heady thick scent that isn't cloying at all; it actually is a smart rethink of the original, employing a peppery-cardamom blast that meshes well with the whiskey and piny laurel notes in the heart. There is a clear ambergris waxy-sweet fullness here that leads to a very masculine, fresh and heavy expression of the original, tangier EdT. Definitely a fragrance for a bold man. Sweet at first but dries down to a deep, boozey scent. Wished it lasted longer on my skin but still noticeable. 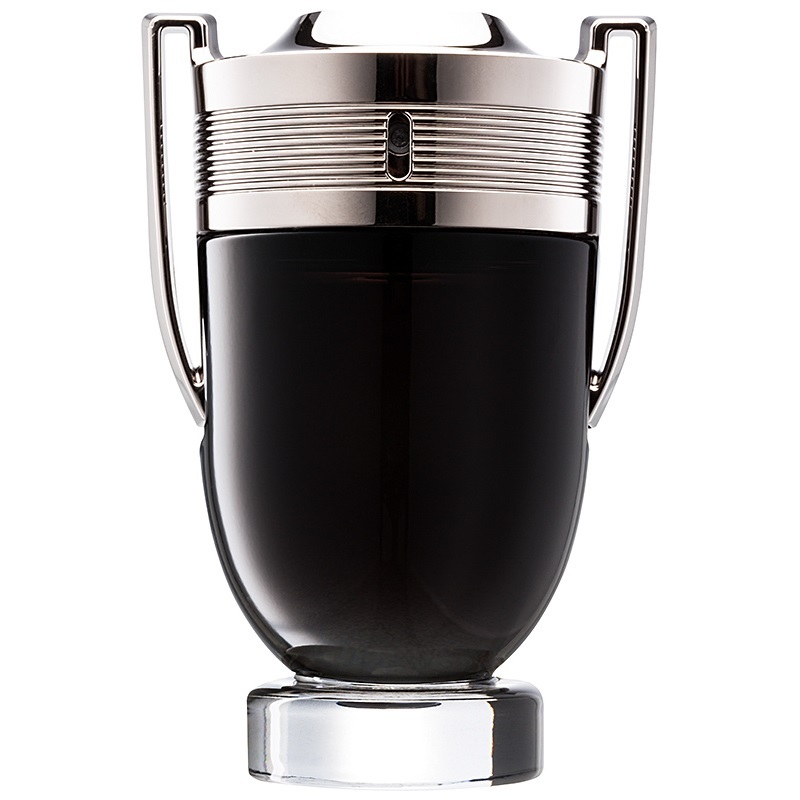 Invictus Intense starts off with more sweet-fruity notes and a synthetic sharpness but then settles down quickly, revealing the sweet but masculine Invictus DNA. The drydown is very fresh and pleasant. Best suited for daytime or work environments. Performance is average. Projection is good for the first 3-4 hours and then the scent is hard to detect after 6-7 hours. Paco Rabanne Men's Invictus Intense Eau de Toilette Spray, 3.4 oz. Invictus Intense by paco rabanne Eau De Toilette 100 ml 3.4 oz NIB Authentic. 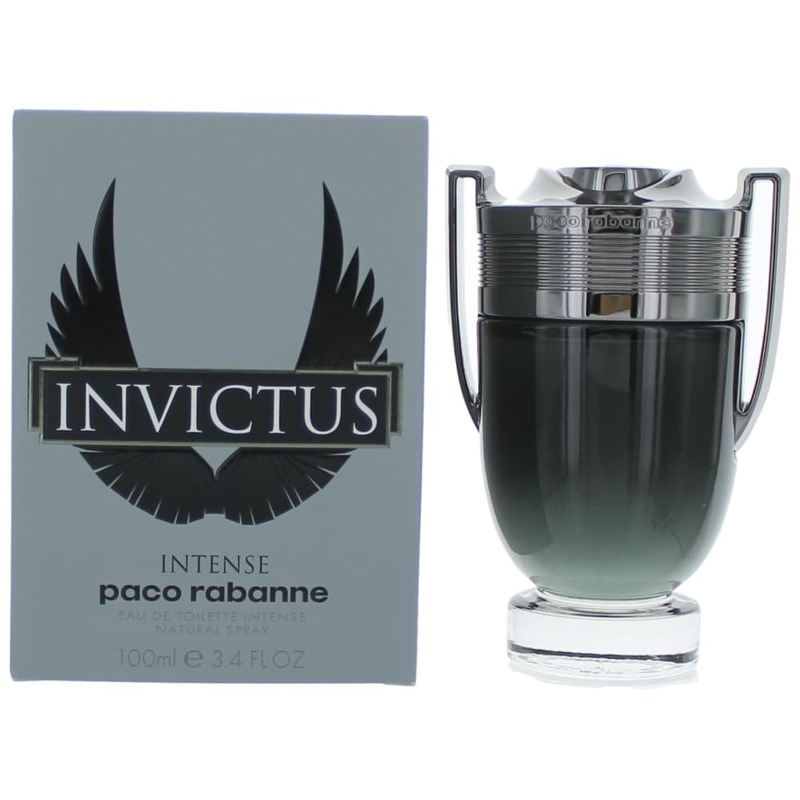 NEW: Paco Rabanne Invictus Intense & Olympea Intense!